Plantasia Flowers, Plants & Gifts is more than just your average flower shop! We’re a local Laurel, Montana florist proudly serving the area over 20 years with a lovely variety of fresh flowers, live plants and creative gift choices to suit any style or budget. We hope you enjoy your online shopping experience with secure 24-hour ordering right at your fingertips. If preferred, you may call us to place orders direct at (406) 628-7574. Plantasia Flowers, Plants & Gifts is open to serve your floral and gift giving needs: Monday through Friday 9:00 am to 5:00 pm and Saturday 9:00 am to 2:00 pm. Open Sunday by appointment. Planning a Wedding, Party or Corporate Event? Let our design professionals add the beauty of flowers at all your festive occasions - large or small. Call to schedule a consultation, so we can help you start planning your dream wedding or a successful event! 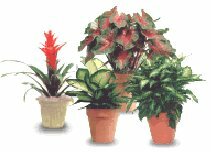 Gift Ideas for All Ages and Occasions… We have a complete Garden Center with Green & Blooming Plants available year round. Our shop also offers Fruit & Gourmet Baskets, Candy & Chocolates, Dips, Wood Wick candles, Body Lotions, Plush Animals, Balloons, Greeting Cards, Rhythm Clocks, Home Décor, Scented Candles, Silk/Artificial Flowers and more! 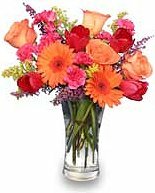 Thank you for visiting our website with flowers delivered fresh from your local Laurel, MT flower shop and convenient online ordering 24 hours a day! !